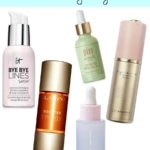 Philosophy No Reason To Hide Serum and Moisturizer! 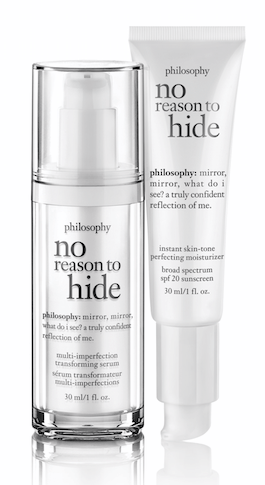 Philosophy challenges us to ask ourselves the question “mirror, mirror, what do I see?” with the release of their new No Reason to Hide Multi-Imperfection Transforming Serum and No Reason to Hide Instant Skin-Tone Perfecting Moisturizer. I know I’m certainly my worst critic when it comes to examining my skin in the mirror. Every flaw or imperfection seems to jump out at me. 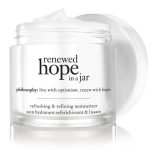 Philosophy, one of the most “pro self-confidence” skincare companies out there, offers a solution to treating many different skin issues with this duo of multi-tasking products. 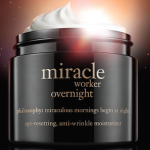 I feel this release is especially true to the Philosophy brand, as they are the original “makeup optional” skincare line. And truly, when I use their skincare, that is the result I expect and get. No Reason to Hide Multi-Imperfection Transforming Serum ($68) is a light white serum; I didn’t expect that. It feels like you’re applying a lightweight moisturizer. It’s not sticky, tacky, nor does it leave a residue. It’s a supercharged formula with marine and botanical extracts, concentrated niacinamide and vitamin C (for treating dark spots), salicylic acid (to help refine texture, clear and shrink appearance of enlarged/darkened pores), bisabolol to help neutralize redness and blotchiness. There is no scent that I could detect. The partner to No Reason to Hide Multi-Imperfection Transforming Serum is No Reason to Hide Instant Skin-Tone Perfecting Moisturizer ($45). Similar to a tinted moisturizer, this product is applied after the serum in the a.m. This is a light, silky, multi-tasking moisturizer with Broad Spectrum SPF 20 sunscreen and a slight tint. 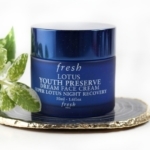 It has many of the same ingredients as the Serum, thereby giving an additive effect. I’ve been using the Light shade, which is fine for this time of year for me. In the summer, I would want to switch to Medium. The coverage is light, blendable and gives skin a slightly dewy appearance. Overall, I’ve been extremely happy with No Reason to Hide Multi-Imperfection Transforming Serum and Instant Skin-Tone Perfecting Moisturizer. I like the results I’m seeing–glowy skin that is definitely makeup optional. 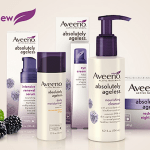 A formula that’s good for many skin types, including sensitive. I wouldn’t hesitate to recommend this to anyone that is looking for a great multi-tasking, simple and effective skincare regimen. 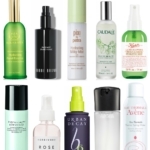 You can find Philosophy No Reason to Hide Multi-Imperfection Transforming Serum and Instant Skin-Tone Perfecting Moisturizer at philosophy.com and additional retailers, including Sephora and Nordstrom (which has a limited time gift-with-purchase promo going on now! ).